More public sector IT-related failures for which nobody will be accountable – a solution? Criminal trials were delayed, jurors unable to enrol and witness statements inaccessible. Quoting a tweet by the authoritative @BarristerSecret, the BBC said the “entire digital infrastructure” of courts was “broken for days”. “Major disruption that affected multiple Ministry of Justice IT systems last week continues to cause chaos. “Lawyers on the front line have told the Gazette that trials have been delayed, jurors have been unable to enrol and practitioners have been prevented from confirming attendance that will enable them to get paid. A criminal barrister who spent the day in Leicester Crown Court said none of the court’s computer systems was operational, jurors could not be enrolled, and no advocates could sign into the Ministry of Justice’s XHIBIT system, an online service that logs lawyers’ attendance so they can get paid. A lawyer at Lincoln Crown Court said the XHIBIT system was down again. The Crown Court Digital Case System, on which all cases are accessed, was also down. A criminal defence solicitor arrived at Highbury Magistrates’ Court in London at 9.15am, where there were several clients in the cells. But jailers did not know which courts the cases would be heard in and because there was no wi-fi in the building magistrates had no access to any papers on their ipads before the hearings. “The Gazette was told that several people attended Scarborough Magistrates’ Court last week to make statutory declarations in respect of driving matters. ‘Most of these people had come suited and booted, with all the anxiety that marks ordinary members of the public out as different from the frequent flyers who regularly come before the courts. The Guardian reported yesterday (28 January 2019) that the Ministry of Justice knew its court computer systems were “obsolete” and “out of support” long before the network went into meltdown, internal documents have revealed. It referred to a database used by 16 employment tribunal administrative offices in which the “scale of outage” accounted for 33% of incidents over the previous six months. Users were unable to access systems for a “significant number of hours”. She said there had been an “infrastructure failure in our supplier’s data centre”. “The Prison Service has not been affected and—to correct inaccurate reporting—criminals have not gone free as a result of the problem. We have been working closely with our suppliers, Atos and Microsoft, to get our systems working again, and yesterday we had restored services to 180 court sites, including the largest ones. “Today (23 January 2019), 90% of staff have working computer systems. Work continues to restore services and we expect the remainder of the court sites to be fully operational by the time they open tomorrow morning. We are very disappointed that our suppliers have not yet been able to resolve the network problems in full. Frazer later said the problem related to a “server” which raised questions about how the failure of a single server, or servers, could cause widespread chaos in the courts. Labour’s Steve McCabe said the server problem was not a single or unusual event. “… her Department has been receiving reports of failures in the criminal justice secure email service for at least six months now”. The BBC reported last week that problems with a police IT system were causing some criminals to escape justice. Nine forces in England and Wales use Athena from Northgate Public Services. They are Bedfordshire, Cambridgeshire, Essex, Hertfordshire, Kent, Norfolk, Suffolk, Warwickshire and West Mercia. The system is designed to help speed up the detection of crimes. But officers told the BBC’s Victoria Derbyshire programme that it crashes regularly and is overly complicated, meaning some cases are not built in time or dropped. Developers Northgate Public Services apologised for problems “in small areas”, which it said it was fixing. A joint response from nine police forces said Athena – which has cost £35m over the past 10 years – had been “resilient and stable, although no system is perfect”. The system was introduced following a government directive for forces to share intelligence after the Soham murders of Holly Wells and Jessica Chapman, in 2002. Officers said the intelligence-sharing function works well but problems arise when they use the system to build cases for the Crown Prosecution Service. The delays it causes means officers can struggle to get the information together in time to charge suspects or the cases are not up to a high-enough standard and are dropped. Serving officers at Bedfordshire, Hertfordshire and Essex told the programme the process could now take up to twice as long. The nine forces – which also include those in Cambridgeshire, Kent, Norfolk, Suffolk, Warwickshire and West Mercia – said in a joint statement that they had been working with the supplier to identify and correct issues as they arose. Northgate Public Services, which created Athena, said 40,000 officers accessed the system and benefited from improved criminal intelligence. It said it was working to make improvements to the “complex system”. “We recognise there are a small number of areas of the solution where improvements can be made and we apologise for any difficulties this has caused. In central and local government, accountability means suppliers sometimes have to pay small penalties. Outsourcing supplier Capita last year paid Barnet Council about £4.2m in compensation for poor performance. It was a fraction of the hundreds of millions Capita has received from Barnet Council. Sometimes the opposite happens and it is the supplier that wins money from the government after a failure. The Home Office sacked Raytheon over problems on an e-borders IT systems and ended up paying Raytheon £224m in compensation. The Department of Heath ended up paying Fujitsu hundreds of millions of pounds after the supplier’s contract to deliver systems under the National Programme for IT [NPfIT] was ended. A major failure in one area of the public sector will not stop or deter officials from awarding the same supplier a major contract in the same or another part of the public sector. Were a major failure or legal dispute to preclude a supplier from bidding for further UK public sector work, most if not all major suppliers would today have little UK government business. There is an effective way to encourage IT suppliers and the public sector to avoid public service failures. But the senior civil service isn’t interested. That solution would be to publish – after every major public services failure – a full, independent third-party report into what went wrong and why. Some senior officials seem unruffled by public criticism or even contempt after a services failure. But particularly in some of the major departments, there is a high-level fear of the full truth emerging after an administrative disaster. Departments would do almost anything to avoid IT-related failures if reports on the causes were routinely published. But unless there is a Parliamentary or public clamour for such internal analyses to be published, they will remain hidden or uncommissioned. When the National Audit Office publishes a report on a departmental failure, the report has usually been agreed and signed off by the department; and it is usually a one-off report. When public services descend into chaos, as happened in the court service last week, immense pressure falls on the IT teams to restore normal services urgently. But without the routine publication of reports on major IT-related public service failures, where is the motivation for senior officials to avoid chaos in the first place? Thank you to Celina Bledowska for her tweet alerting me to the criminal justice IT problems. Do IDS and Universal Credit deserve such good publicity? One of the unwritten conventions in journalism is that is you don’t give bad publicity to a minister who gives you an exclusive interview. problems that were imposing artificially low limits on the number and type of claimants – such as incorrect calculations of payments – confined to history? At one point you could not claim UC as a single person or a couple if you received Jobseeker’s Allowance, Employment and Support Allowance, Income Support, Incapacity Benefit, Severe Disablement Allowance, Disability Living Allowance or Personal Independence Payment. You could not claim if you owned, or partly owned, your home, were homeless, or in supported or temporary accommodation. You could not claim if you worked but earned more than £330 a month. You could not claim if pregnant, had disabled, adopted or fostered children. So are the brakes off now? That sounds a lot. A record indeed. But a close analysis of the numbers successfully claiming UC shows that since a national roll-out of UC began in February 2015 – amid much good publicity – the increase has been small. It appears that the UC programme’s costly IT – an investment of £344m by 31 October 2014 (Appendix f) – is still limiting the number of claimants. This raises the question of whether the DWP’s publicity machine, with IDS at the helm, has such an influence on the media that it is able to successfully propagate its own message in the face of inconvenient facts. The Sunday Times declared that Universal Credit “is working”. The Telegraph also said that UC is working. The DWP’s plan is for 7 million people to claim UC but the latest figures show that the total number of claimants who had made a successful claim up to 14 May 2015 was 74,120. This is about 1% of those potentially eligible to claim UC – 25 months after the scheme was launched in April 2013. Has the number of claimants increased substantially since the national roll-out began in February 2015? Before the start of the national roll-out about 35,000 people had successfully made a UC claim up to 8 January 2015. There had been an average of 2,325 new claims per week at 96 Jobcentre Plus offices. Three months after the start of the national roll-out about 74,120 people had successfully claimed UC up to 14 May 2015. There were an average of 3,550 new claims per week at 278 Jobcentre Plus offices. “Since national roll-out the rate of claims has been increasing at a rapid pace”. But is this the case? 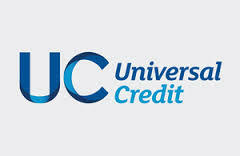 The number of successful UC claimants has more than doubled since the national roll-out began but the number of Jobcentre Plus offices where UC has launched have nearly tripled in the same period, from 96 in January 2015 to 278 by 14 May 2015. And the total number of successful claimants remains tiny relative to the potential number of claimants although the DWP says it has expanded eligibility to claim UC from single people to couples and families. According to the National Audit Office in November 2014, the DWP estimated that around 500,000 claimants would receive Universal Credit by mid‑2016. This target will not be hit at the present rate of successful claimant applications. IDS welcomes record numbers of UC applications says the Huffington Post headline. But almost every week there will be record numbers claiming UC. That is the nature of a national roll-out: numbers increase – even by small amounts. The number of applications will continually break records while the roll-out continues during 2015 and 2016. No doubt IDS and the DWP will continue to seek a succession of media articles on the record number of UC applications. Only this week the DWP announced that UC is rolling out to 10 more jobcentres across England, Scotland and Wales. Will the media always react complaisantly? If it does it will be a pity – because MPs may stop asking questions about value for money in the context of the tens, indeed hundreds, of millions being spent on UC technology with the usual major suppliers. And if the IT and business change challenges continue to limit the number and type of applications, the total numbers of successful claimants at the end of the national roll-out could be embarrassingly tiny relative to the 7 million potential claimants – not that the DWP’s publicity machine will mind. The machine will find a new way to sail around the facts. That’s what the DWP’s senior officials seem to believe that government PR staff exist to do. Does Barnet know if it’s saving money with Capita? Are council outsourcing contracts becoming so unfathomably complex that officials and leading councillors have no real idea whether they’re saving money? A Somerset County Council report on the lessons learnt from its troubled outsourcing/joint venture deal with IBM emphasized the importance of “not making contracts overly complicated”. For years there have been arguments in Somerset over whether the council has saved or spent more as a result of the relationship with IBM. The absence of audited figures means nobody knows for certain. It seems to be the same at Barnet. An absence of audited figures – the council does not have to produce them for an outsourcing contract – means that nobody knows for certain if Capita is costing or saving money. It’s likely that councillors who supported the outsourcing to Capita, and critics of the deal, will never agree on whether local residents are better or worse off. Now a Barnet resident and respected blogger Mr Reasonable, who studies the accounts of the local council as part of his efforts to be more open and accountable, has offered £250 to charity if the Tory leader Richard Cornelius provides evidence of how Capita is making savings as promised. “If you want to see the world of outsourcing at its most illogical, spend a bit of time with detail-hunters like Mr Reasonable. “He tells me about phoning his local library to see if a children’s book was in stock. The call was of course routed to a Capita call centre in Coventry, where staff spent ages unable to help before connecting him back to the librarians just down the road. By his calculations, for that wasted call Capita would charge Barnet £8. “Outsourcing is full of these invented costs, which is how the privateers make their billions. Mr Reasonable says all the commercially sensitive elements of Barnet’s contracts with Capita are redacted and there are “numerous clauses relating to incentives and penalties which would have made publishing a single payments schedule almost impossible”. It’s also impossible he says to know what Capita has billed for or not. “If Barnet Council is serious about openness then why not host an open day where they go through the contract in detail so that we can understand exactly what we are paying for? “I would have thought it would have made sense for Capita to get involved with this, to work through the contract with interested citizens and to demonstrate clearly how much money they are saving. “So I hereby throw down a challenge to the Chief Executive Mr Travers, to Richard Cornelius and to Capita – host an open day, bring bloggers and critics in and show them what you are doing, how the contract is working in reality what money is being paid to whom and how much is really being saved – evidence is essential. “Indeed a few Conservative councillors might want to come along as well seeing as they voted for this contract. I know some of them privately had serious concerns about the contract but were worried about making those views public. Outsourcing deals should be signed on the basis of pure pragmatism, never because of an ideology. Barnet’s deal with Capita (and Somerset’s) was signed for largely ideological reasons. Somerset wanted to “go beyond excellence” and Barnet’s ruling councillors want to be immortalised by establishing a new frontier for local government – a “commissioning council” whereby all services are bought in. It might have been cheaper for Barnet’s residents if the council had given its ruling councillors immortality by building statutes of them in the council’s grounds. Will council officers have enough time or understanding of the nuances of the contract, with its maze of incentives and penalties, to know whether they are saving money or not? In any case how accurate were the pre-outsourcing baseline figures and assumptions on which to make a comparison between what services were costing then, and what they are costing now? There is no equivalent in local government of the National Audit Office, no organisation that will audit a local government outsourcing deal and publish the results. This means councillors can say what they like in public about the success of a deal without fear of authoritative contradiction. Their critics can only speculate on what is really happening while they try to shine a light at the dense fog that is commercial confidentiality. It appears that more and more councils are seriously considering large-scale outsourcing, perhaps on the basis that they can promise guaranteed savings without anyone being able to hold them to account on whether genuine savings materialise. The first we’ll know anything is awry is when a council report, years into a contract, reveals some of the difficulties and says a resolution is being discussed with the supplier; and it’s another year or two before the contract is terminated at considerable extra cost to the council – and nobody is in post from the time of the original contract to be held accountable. Is this really the shape of local government outsourcing to come? I heard your interview on BBC’s World at One today Tony. You were saying there may be potential for fleet-of-foot small IT firms to access government contracts. It was music to my ears. You referred to the NHS and Universal Credit IT disasters and the way contracting has been dominated by a few big beasts and multi-nationals. You killed the myth that “big is beautiful” and praised “new rules” to break up projects into smaller units. Small can be perfectly formed and powerful. Businesses like ours are quick-reflex mice stuck behind the elephants blocking the doors. Why don’t they just sit out of the way, in the room, like other elephants? We are an SME in IT. We have great pedigree, an innovative product, a presence in education and are ready to break into the business world and government work more generally. But without the bulk and buying power to advertise, lobby and bid for the current huge projects we have not been able to do much, if anything. We are encountering elephant in the door syndrome. So we continue doing what we do, scurrying like mad, working unreasonable but happily given hours. It is not in the country’s interest for us to be tired, blocked and trapped. We fear being swallowed up, of losing our identity. I suppose it might be quicker than being slowly squashed under an elephant’s backside. Dan O’Brien, my business partner, is young, creative, dynamic and rushed off his feet. I am three of those and old. He has run a small successful software company for 15 years. I had a successful senior career in education and in business as consultant, evaluator, writer and publisher. I created a deceptively simple, improvement model for individual, team and organisation. So, Dan and I created an on-line version. We launched “The iAbacus” in 2012 and were finalists in the BETT2014Awards [hosted by Jo Brand] on 22 January 2014. There were lots of mice competing with us and the usual elephants. But before we announce the winner let’s have a look at the iAbacus focusing on school governance. We dream of developing this and moving into business generally. We see a huge potential for this “empowering personnel” approach applied to NHS and civil service personnel. Up to now the elephants have blocked the way, or grinned through the windows while they ate ice buns. Can elephants grin? We didn’t win the Bett2014 Big Cheese but it was a great show – it makes people like us feel good. Yes, coming back to the office was disappointing but we are nibbling away, on-line, working in education but, even in this field I know so well, customers can be sniffy too – “small is ugly and simple is simplistic; let’s go for the big suppliers”. Will the Cabinet Office’s new rules work? Or, are there friendly elephants out there who could help us, encourage and include us? Could the regulations persuade them? How about a clause like the one when planning new houses? Every housing project has to include a percentage of affordable homes. How about every IT contract having to include a percentage of SMEs? I want to one of them. I want to be a Trojan Mouse! John Pearce is a freelance consultant, working across education, business and community. After a successful career in teaching and headship, he became Deputy Chief Inspector for Nottinghamshire County Council. He was a BETT2014 finalist for The iAbacus which he created with Dan O’Brien. BBC’s World at One focus on government IT. A mega-outsourcing plan in Cornwall beset by naive fanaticism? An inner circle of councillors at Cornwall council is rushing plans to sign a big outsourcing deal despite a council vote against it. The aims of the deal include an IT-based transformation of services, the creation of “up to” 500 new jobs and tens of millions of pounds in savings – all too good to be true? The warning signs are there. The council’s remarkable naivety, a hurried enthusiasm for signing a deal, and a confident waving aside of internal and external concerns, may be early indications of a possible disaster. An internal report warns of a potential “catastrophe” over service delivery. If all turns sour could accusations of maladministration follow? Is there still time for the full council to stop the inner circle from pressing ahead with a contract signing? Major IT suppliers have some exceptional salespeople. They don’t merely sell hardware, software and services. They inspire. They rouse to action. Their promises are believable because they believe them with a conviction that can be contagious. Joe Galloway might have been a one-off. He was managing director of a part of one of the world’s largest IT companies EDS (now HP). He helped to strike a CRM [Customer Relationship Management] deal with BSkyB in 2000. The contract ended in a £709m legal dispute in which Galloway was a main witness for HP. The judge in the case of BSkyB v HP found that some of Galloway’s evidence was untrue. He demonstrated an “astounding ability to be dishonest, making up a whole story about being in St John [part of the Virgin Islands], working there and studying at Concordia College. EDS properly distance themselves from his evidence and realistically accept that his evidence should be treated with caution,” said the judge. During the High Court hearing, when HP discovered Galloway’s dishonesty, it sacked him. He had held a senior position at EDS and the company’s customer BSkyB believed what he had said. The case cost HP £318m plus tens of millions of pounds in legal fees – and the dispute lasted more than seven years. HP, it could be said, became a victim of some of the statements made by one of its executives. The point about mentioning the case is that supplier promises, even if made with the best of intentions, may in the end come to nothing – or worse, a costly and prolonged legal dispute. Good intentions were behind the setting up of a joint venture between IBM and Somerset County Council – Southwest One – in 2007. The two sides are now immersed in a legal dispute that looks like going to court. Other councils have gone into joint ventures with major IT suppliers only to be disappointed. So why do councils still want to sign mega outsourcing deals? But how do potential suppliers explain failing contracts? In talks with potential customers IT companies correct or clarify reports in the media about outsourcing deals that have failed or are failing. It is customary during the bidding process for salespeople to take potential clients to reference sites where the representatives will agree that the media reports of a failing partnership were inaccurate or hyperbolic. Cornwall council says on its website that it has received responses from its two shortlisted suppliers BT and CSC to specific negative press articles. The Council is now untroubled by any of the articles. “The feedback we received from the references contacted were balanced and gave us no significant causes for concern… We do need to reflect that these are press stories and we know only too well from our own experience that you can find negative reports on most major companies if you look for them. Cornwall says it continues to monitor press coverage, with the help of BT and CSC. It suggests that articles not yet written may be biased. “… We actively monitor the press, and both companies [BT and CSC] make sure that they let us know if a negative or positive story is going to break, making sure that we understand the background. It is important to note that these articles do not always present an unbiased view,” says Cornwall. Does setting up a “critical friend” group give a false assurance? On the face of it Cornwall deserves praise for setting up an independent panel of “critical friends” to scrutinise the council’s outsourcing plans. It is called the “Support Services Single Issue Panel” which comprises mostly Cornwall councillors. It had help from, among others, council officers, and BT and CSC. The Panel also visited some customers of BT and CSC that the suppliers chose. But when the Panel later expressed serious concerns about Cornwall’s outsourcing plans the council’s inner circle simply replied that it did not accept those concerns. This may strike some as a naive response to real risks. Is there a danger the council will use the setting up of the critical friend group to say that it has considered all the risks – even if it has considered then dismissed the most serious of them? A poor supplier would be in breach of contract – but then what? To the Panel’s concerns that the joint venture may fail to deliver, or costs escalate, Cornwall responds that if its suppliers do not deliver they will be in breach of contract. “The contract obliges the strategic partner to deliver. Any initial failure to deliver would be dealt with through a service credit arrangement. Persistent failures would represent a breach of contractual conditions which would lead to breach of contract where the Cornwall Partners would exit the contract. Is it straightforward to exit a contract after an alleged breach of contract? The Department of Health was in dispute with CSC over alleged breaches of contract on the National Programme for IT, NPfIT. CSC made it clear in its statements to US regulators that the DH was unable to exit the NPfIT contracts without large payments. CSC and the Department ended up accusing each other of breaches of contract which made negotiations for a settlement long and costly. Heading for claims of maladministration? – Customer wishes to exit contract but cannot because of potential costs, counter-claims and need for supplier’s cooperation to maintain existing services. – Long and costly settlement negotiations – which is good for lawyers – while service delivery remains in the “hold” position, unresponsive to changes that may need to be made or remedial action that may need to be taken. International IT companies are experts in the legal side of contracts and dealing with disputes. Do Cornwall’s ruling councillors believe that the council’s expertise and legal advice would trump the supplier’s in the event of an alleged breach of contract? Unforeseen change is endemic in the public sector: governments change, policies change, legislation changes, organisations change, particularly the NHS which is a potential party to Cornwall’s outsourcing plans. Is any public authority that signs up to a large and complex outsourcing deal on the basis of ‘no unforeseen change’ leaving itself open to accusations of maladministration? Has Cornwall’s democratic process broken down? The most extraordinary single thing about Cornwall’s outsourcing plans is that, at a full council meeting on 4 September, a majority of councillors voted against a deal but the inner circle is going ahead anyway. “All the concerns which have been raised today have already been considered by the Cabinet… This is a very complex proposal and unfortunately the decision by Members not to move into private session meant that we were unable to share the detailed confidential information they needed to make an informed decision”. Should the Council rush to sign a deal? The council’s inner circle concedes that its timescales are “tight but achievable”. When outsourcing plans have taken up much time and money there is always a danger a contract will have to be signed to justify the effort. But would the signing of a mega deal at Cornwall be a triumph of ideology over objective reasoning? One has to wonder how a mega outsourcing deal can improve services, provide a good profit margin for an international IT company, save the council money and create hundreds of jobs. Doesn’t something have to give? Is there so much inefficiency, and so much money floating around the council and its potential NHS partners, that a major supplier can cut tens of millions of pounds, spend to transform services, and make money? In evidence to MPs last year SOCITM, which represents ICT professionals in councils, said of outsourcing ICT that it “carries many risks for local authorities and can come at a heavy price”. – There is every sign that the inner circle’s plans are motivated are by the best of intentions: to save money, improve services, protect existing jobs and create more. – Although some criticise the council’s lack of openness, the inner circle is not hiding all of its papers and discussions in a blanket of secrecy. It has published the report of the “critical friend” Panel and the council’s responses. There is much information – and links – on the planned deal on the council’s website. This doesn’t always happen in the run-up to a large public sector outsourcing contract. But good intentions do not make up for naivety and a wish for outsourcing that may border on fanaticism – the pursuit of a Cause whatever the dangers. If a majority of councillors at a full council meeting cannot stop the signing of a mega-deal can anyone? It appears that a tiny group within the council will make the final decision – although it is arguably the most momentous decision in the council’s history. The final decision is due next month. If Cornwall enters a deal in which it relies on the contract to protect services and the council’s reputation is it being naive? Could it end up facing accusations of maladministration, particularly after side-lining a council vote against the deal? Thank you to Dave Orr and a journalist in Cornwall for your emails on Cornwall’s outsourcing plans. Local MP’s website on Southwest One. There are some insightful comments from Co-operatives UK’s secretary general Ed Mayo and the London Borough of Hammersmith & Fulham’s Andy Rennison on mutuals in this piece by People Management. He highlights taxation and procurement as the areas in most need of attention, and would ultimately like to see public sector mutuals given the same special dispensation as they have in Italy. Rennison, Hammersmith & Fulham’s mutual lead, provides an interesting description of a well-attended bidders’ day held where 28 private organisations expressed an interest in being backers of the tri-borough’s (Westminster City Council and the London Borough of Kensington and Chelsea are also involved) schools IT services mutual project. I just came across an excellent piece by Craig Dearden-Phillips on why nations – and organisations – fail. In it, he discusses a book, ‘Why Nations Fail’, by Daron Acemoglu and James Robinson. He writes: “The opener of the book contrasts two halves of a city, Noglales which straddles the Mexico-US border. One sits in the region on Sonala, Mexico, the other in Arizona, US. Here the people, culture, climate and operating conditions are the same. On one side of the border, incomes are many times higher, there are good public services and crime is uncommon. On the other, people are mostly poor, there are few public services and crime is rampant because the state isn’t in real control on the ground. He continues: “Perhaps what has capitivated me most, though, is the read-across to why certain types of public services fail, despite wonderful resources and high levels of native talent. Analogous to the extractive and exclusive institutions described at state level in this book could be placed the large public sector monopolies which still dominate much of public service in Europe and certainly in the UK. “Here, power is often monopolised and change, even ‘good change’ does run against the interests of many of those involved. Initiative is often powerfully suppressed. It is hard, frequently impossible, to set up in business against these monopolies and there are often few political processes which can be used to break these systems down. “What am I thinking of here? Well, if you haven’t guessed, I am alluding to many of the organisations from which spin-outs do or don’t emerge. “The truth of the matter, and I see this every day, is that setting up a new business to deliver public services feels like it probably does to set up any ordinary business in parts of the developing world. You need the buy-in of a variety of power-brokers, all of whom need to see their interests satisfied. You need to go through all sorts of bureaucratic processes to show you’re not a risk and are ‘worthy’ of delivering services. “From there, you need to make all sorts of promises to the system that its interests will not be threatened and create opportunities for the system to have it’s say even when the business is up and running. Dearden-Phillips makes some excellent points and the whole piece is worth reading. The Government has detailed how it is developing and implementing Rights to Provide to “empower front line staff across the public sector to take over the services they deliver,” possibly through the creation of new mutuals. The Government said it has identified local authorities’ services, fire services, probation and adult social care as some of the areas for developing new mutuals. This it says, will be backed by enhanced support available to staff through the Mutuals Information Service and the Mutuals Support Programme. In announcing an updated discussion paper David Cameron said increasing parental choice in schools, extending personal budgets so people can choose how they spend money on services and increasing the transparency of public service performance and user satisfaction are all part of the next steps to improve public services by opening them up. The paper updates the Open Public Service (OPS) White Paper published last summer. “Alongside the focus on digital delivery, and as a core part of work to reform the Civil Service, Government Commercial Teams are working with individual departments to identify where new commercial models would accelerate reform and improve services. In some cases, this may involve high-quality in-house delivery; in other cases outsourcing may offer best value. “We are particularly interested in the potential offered by mutual models, including mutual joint ventures, that give employees much greater say in the way their organisation is run, for example the model being considered for MyCSP. “To ensure that the benefits of mutualisation are available across the wider public sector, we are giving public sector staff new Rights to Provide – empowering employees to form public service mutuals to bid or request to take over the services they deliver. This will empower millions of public sector staff to become their own boss,freeing up untapped entrepreneurial and innovative drive. “Public service mutuals are now well established in community healthcare, with thousands of public servants working in new mutuals with contracts worth almost £1 billion. We have extended these rights to new areas, including adult social care and NHS trusts, and we are looking to go further, in areas such as youth services, probation services, children’s centres, and fire and rescue services. The Government said all its departments will put in place a Right to Provide to empower employees in public services for which they are responsible to s pin out to create new public service mutuals. Public sector workers who want to formmutuals or co-operatives to deliver public services will be given a Right to Provide. The Government will look to reflect these commitments in departmental business plans where appropriate. Information from the Mutuals Information Service will inform departmental policy development, the new paper says. It points out that “the Department of Health’s Right to Request is near completion, with 40 services now operating as independent social enterprises and further projects to go live by April 2012. The Right to Provide has generated interest across NHS trusts, foundation trusts and adult social care. • Department for Education Children’s Centres – not yet started. It’s not often that the prospects for mutuals – or John Lewis, for that matter – make it into The Sun. But this story takes the mutuals bandwagon into areas it hasn’t been previously. It also quotes Cabinet Office Minister Francis Maude saying, “We are opening up public services to get more bang for the taxpayers’ buck. However, an article on Public Finance makes the point that the ‘mutual option’ was always a non-starter for public audit. Mutuals: a novel means of driving down demand for public services? A recent piece in the Guardian local government network has come up with the intriguing idea that mutuals can help drive down demand for public services. The article, by Ross Griffiths, a partner at law firm Cobbetts, suggests that if as a service user, you are dealing with a provider that is your mutual, you are more likely to think twice about the demands you are making on it, and the effect that might have on the service and other users. It argues that this is the ‘Holy Grail’ of the mutual project – allowing providers to deliver services more cheaply not by making cuts, but by reducing demand.